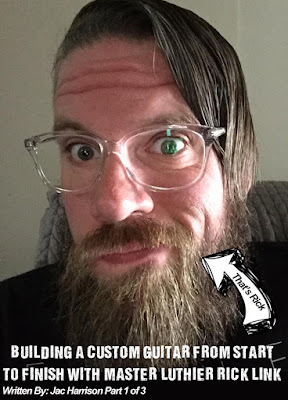 Recently, I have noticed an influx of new guitar players on social media in the groups and pages I manage, and few of others that I’m a spectator in. Everyone seems so eager to learn about buying their first guitar or are looking for advice on buying a guitar on a budget. To me, it is exciting to see so many new faces playing what I consider the best musical instrument, but at the same time I feel bad for the novice today due to the over abundance of misleading information in regards to price-vs-value because of the fuc*ing know-it-alls on the interwebs. Thirty plus years ago when my father gave me my first guitar, he didn’t ask 40,000 people (that he never met) what they thought would be the best guitar for a beginner. We took a trip to Hi - Way Music on rt 18 in East Brunswick, NJ where I was given the choice of the ugly one I played with humbuckers or the ugly one I played with single-coils (I went with the buckers). Knowing that not everyone has access to someone that can explain to them what to look for like my father did for me, this month's editorial will be based on the some of knowledge I have gained while buying, selling and trading guitars over the last 20 years. So for all the social media know-it-all as*hats and the keyboard wizards of knowledge, please stop reading this and go Google something so you can continue your "awesomeness". 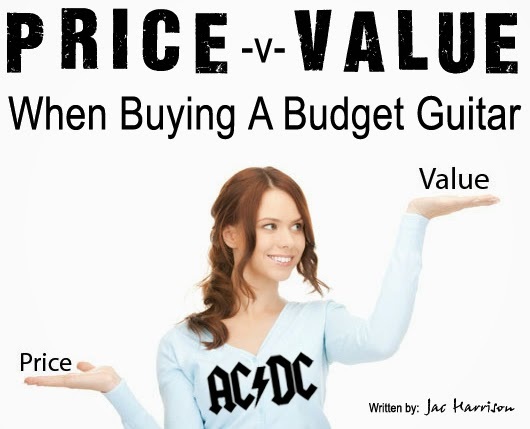 This is meant for the guitarist that wants to learn buying techniques that will allow he/she to make an educated decision at the point of sale to obtain the highest quality guitar on a budget. 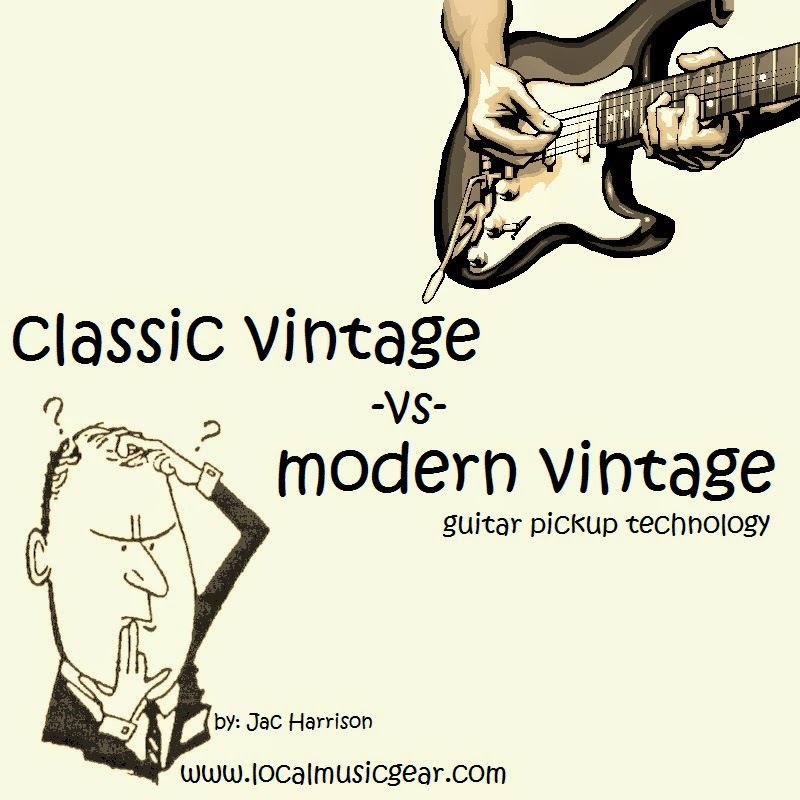 Vintage reproduction, vintage vibe, classic tone, and antiquity are just a few of the names that guitar pickup manufacturers use to describe the tone of their product(s) so we (the guitarist) associate them a particular time era. Some manufacturers will even go as far as to classify a pickup's voice with a year and/or a particular artist name that had a desirable tone from that time period. These are all wonderful marketing techniques that are designed to make us (the tone chasers) open our wallets and say “yes please, I may need that". This is great if you want a particular tone but do not fully understand how to achieve it, but for the rest of us it is an indication of future disappointment 90% of the time. When I see a manufacturer selling a vintage/classic style pickup, I take it as their way of saying that the product has a certain dynamic response that reacts to the players touch opposed to a modern style pickup that has compressed feel, and less about the overall tone. Anyone can Google the specs for a vintage pickup, buy the raw materials and make one -- but it takes talent to voice the pickup giving it that dynamic response we associate with vintage guitars (pre-1980). As a vintage/classic tone style pickup player, one of things I always focus on when selecting a pickup is what I am trying to achieve tonally and less about what year do I want to sound like. If I was replacing pickups in a 1964 Start or a 2014 Chili Custom Guitar, I would want the same in both guitars -- a tone that is unique to me that is built on a platform that allows me to control my tone with dynamic response. Since the beginning of time, mankind has been trying to replicate "stuff" that we have observed to enhance our lives making it more enjoyable. "Stuff" like harnessing the power of fire to cook our food to insure that it is safe to eat, using river-rock and gravity to purify our drinking water to prevent bacterial infection, and in this case -- the most important of all, making your guitar have that vintage mojo to achieve the tone of the gods (I got choked up just saying that). Twenty Thirteen was an amazing year for new an exciting gear. 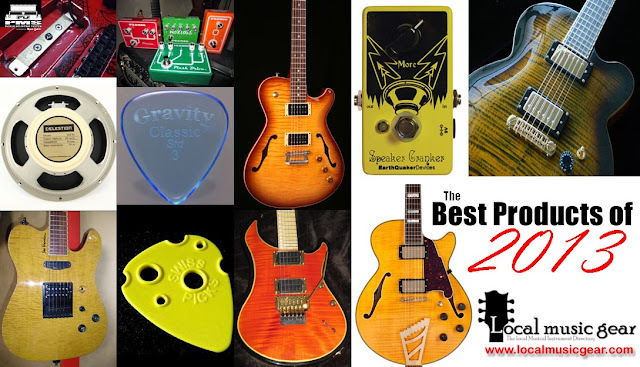 I have had the pleasure of trying hundreds of exciting products that make playing guitar more enjoyable. While some products were good, others were just amazing. Every month Local Music Gear selects one of these amazing products to be showcased as the product of the month. For a product to become the product of the month it must exceed our expectations on three levels of standards. The product must do what it is designed to do 100% of the time without failure and be the best example of its type of product we have seen to date. The Product must be built well without any imperfections that would affect it’s functionally from day one throughout the life of the product. The Product must be a good value for its price tag. These are the twelve best products I have had the opportunity to review in 2013. While all products that I reviewed for Local Music Gear were excellent, these products truly stood out. The product listing below is in chronological order based on the month the item won product of the month starting in January 2013 and ending in December 2013, and is not a ranking. 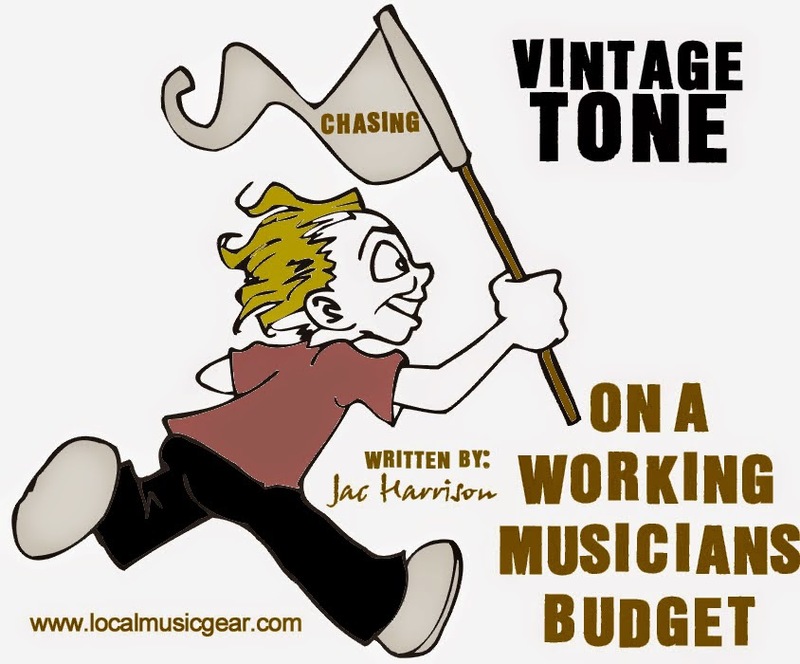 Some of us gearheads are more sensible when it comes to the amount of cold hard cash we are willing to part with when buying new gear. 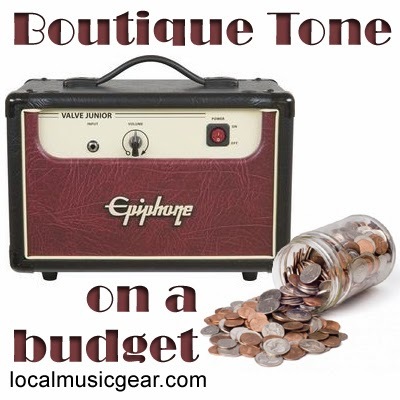 Some of us are even willing to deal with an amp that has less than desirable tone qualitys to save a buck (yuck). I get it, cash is king and our hobbies take the backseat to the essentials such as the mortgage/rent, bills and food. This is something that the larger musical equipment manufacturers take advantage of. Think about it... do you really think that a 100-watt 2x12 that retails for $330 USD is a quality amplifier? The answer is eff no! Some companies slap their badge on a solid state "amp" that probably costs them $50 USD to make (if that), and then they put it into a chassis that looks like one of their higher dollar products so the consumer (that's you) feels like they got a "hell-of-a-deal". First off, who really needs 100-watts of power? That's simple, not you and not me. As a gigging musician I can honestly say that I have never owned a 100-watt amp and I have played outdoor shows that had 3,500 + people attending while using an 18-watt amp. There is this new technology called "microphone". The way this "microphone" works, is a person known as a "sound guy" puts it in front of your amp's speaker so the sound of your amp goes through a PA system... to make it louder. A 100-watt amp will make your stage volume deafening, and you will not be able to get that sweet tube saturation that we all love at the a tolerable stage volume, causing your band to breakup and/or go deaf. Hell; I'm using a 50-watt amp now that I only turn up to (3), and my bass player needs to wear earplugs. For the hobbyist playing small venues, an all tube 5-watt to 18-watt amp (depending on the venue size) is all you really need. If the amp is voiced correctly -- you can achieve the tone of your dreams at any volume. © 2011 localmusicgear.com All rights reserved. Awesome Inc. theme. Powered by Blogger.